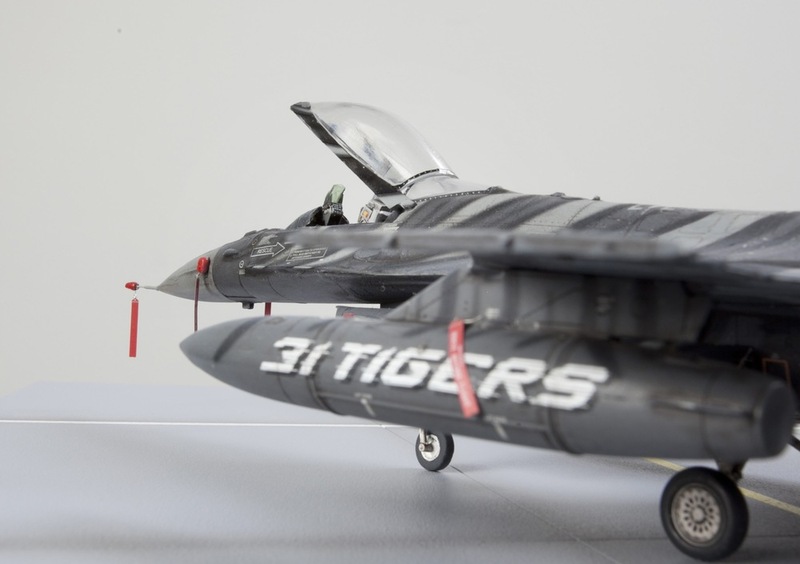 This compelling dirorama features a Tamiya 1/48th scale P-51 D Mustang, piloted by Clarence E. "Bud" Anderson's. 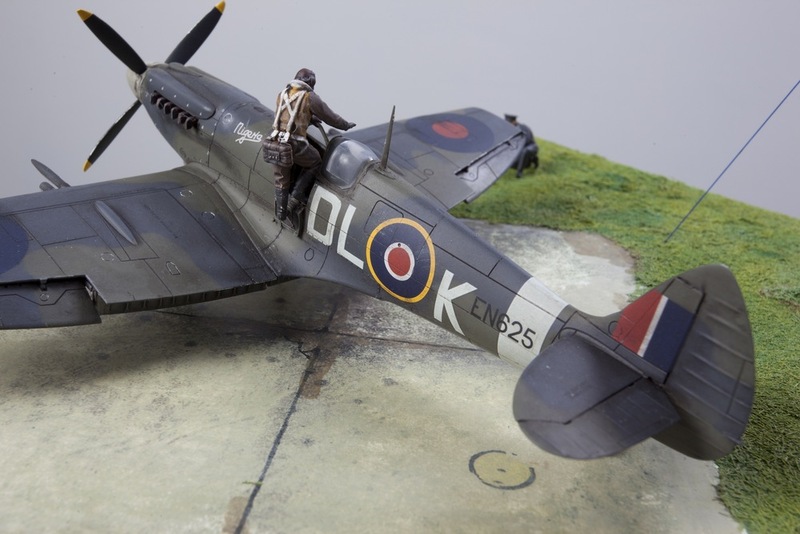 The models are painted with Vallejo model air paints, applied with an Aztek spray brush. 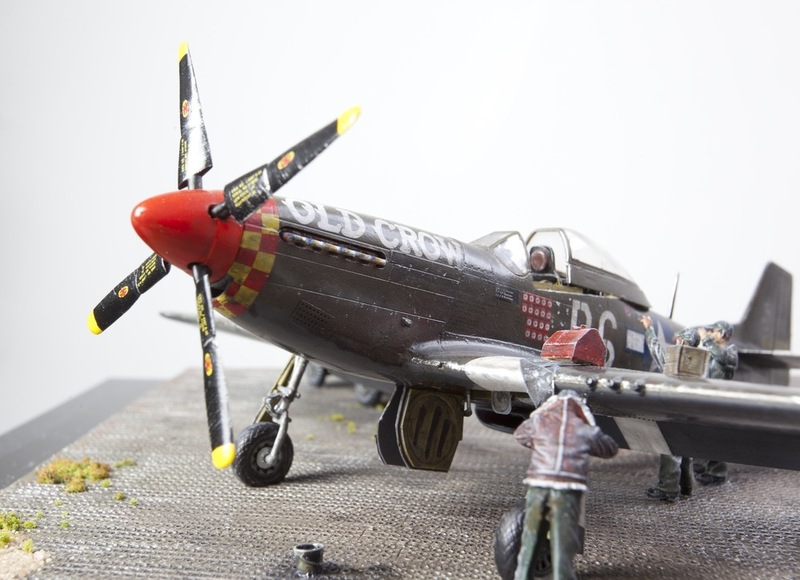 After sales components include an Eduard cockpit detail set and super scale decals, which are applied using micro set and micro sol. 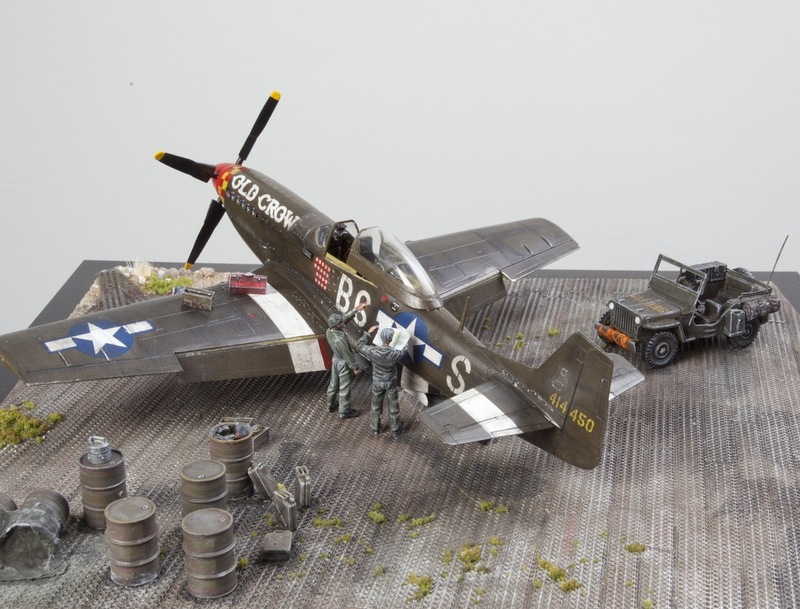 There is also a Verlinden 1/48 scale base, and ground crew and a Tamiya jerry can set.